Winning or being placed in a writing competition is a great way to add credibility to your author CV, and I’m delighted to share with you the opportunity to enter a well-established and ethical writing competition which not only rewards authors but also raises money for a very good cause: Words for the Wounded. I met one of its founders, Margaret Graham, herself a published author, at the Chorleywood Literature Festival last year, and she’s here today to tell us all about it. I first met novelist Paul Connolly over dinner after a SilverWood Books Open Day and was very interested to learn about his debut novel as is publication date approached. Listening to Paul, I could tell he is a natural storyteller, and I’ve downloaded The Fifth Voice to read on my Kindle on holiday this summer. In the meantime, I’m delighted to welcome Paul here today to share his favourite way of promoting his new book. Debbie Young: What’s your favourite book promotion tip? It doesn’t need to be the one that sells the most books – it could just be the one you most enjoy. Paul Connolly: Seek out opportunities to talk about your book, and target relevant special interest groups. Contact groups to whom your subject matter should be of interest. In my case, The Fifth Voice is set in the world of a cappella choral and quartet singing, and there are lots of relevant associations and groups you can say hello to and even write articles for. Also, keep adding to your email list and reaching out to new people, as well as contacting book groups and independent bookshops. I don’t believe that social media has all the answers, and I think that Facebook and Twitter are wildly overrated in terms of their ability to deliver results for the average author. So much of it seems like whistling in the wind to me. I prefer the personal approach. Debbie Young: How do you do it? Please give brief instructions! Paul Connolly: Wherever I go I’m armed with my book’s ‘elevator pitch’ in my head and a few calling cards in my back pocket (a tip here: create double-sided business cards, where one side is the front cover of your book, for maximum impact). Then, a couple of times a week I reach out via email or telephone to specific targets, be it named individuals, singing associations around the world, or indie bookshops. Debbie Young: Why do you particularly enjoy this activity? 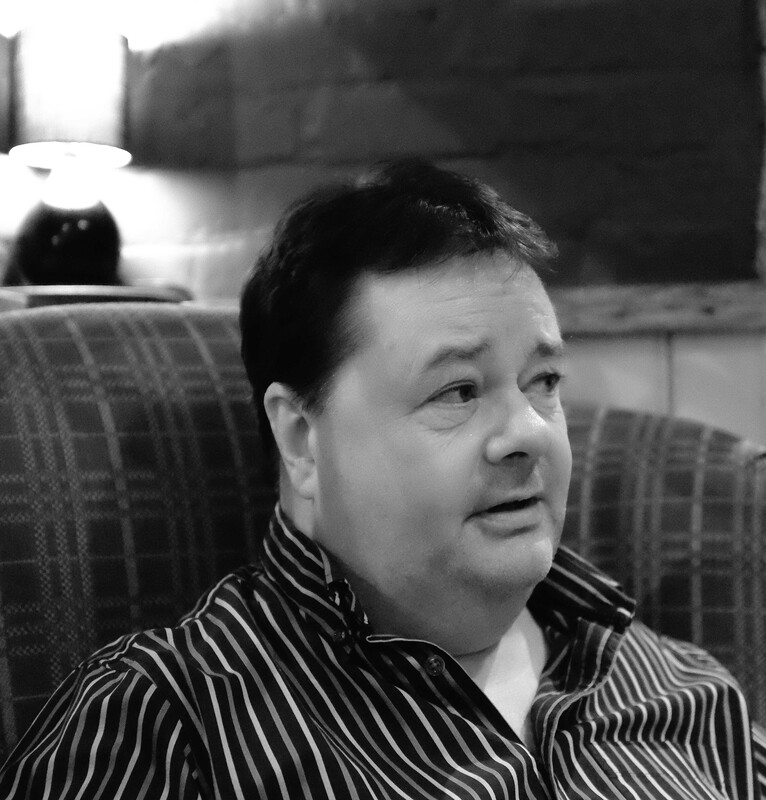 Paul Connolly: Once you get over the hurdle of thinking nobody will be interested in listening to yet another self-promoting author, you realise that there are people out there who are fascinated by your story, your journey as a writer, and are willing to give you their attention. The enjoyment comes from making connections person-by-person, group-by-group, hopefully building your readership steadily as you go. Debbie Young: Which book(s) have you used it for and when? 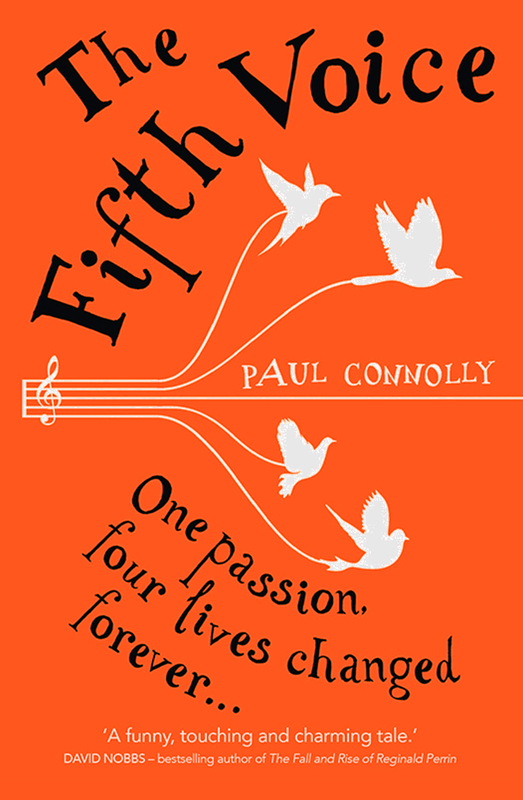 Paul Connolly: The Fifth Voice is my first novel, so I can’t claim masses of experience! One thing I would say is that if you can afford to hire a publicist, even for a short time, it helps to build awareness early on, and I have had some success with local press and radio as a result. This then gives you some ‘marketing collateral’ that you can use when approaching bookshops, etc. Debbie Young: If you were doing it again for another book tomorrow, would you do it any differently? Paul Connolly: As The Fifth Voice is my first novel, I’m finding out what works and what doesn’t as I go. I would definitely approach things in a similar way, but maybe with a few more tricks up my sleeve. While I don’t think you should rely on social media for your marketing, I’d be keen to squeeze as much juice out of those channels as possible in future. And I’d like to get my head around e-book promotional campaigns and adopt ‘industry best practice’ to maximise sales (if such exists). Debbie Young: Which part of the book promotion process do you like least? Paul Connolly: Despite being comfortable appearing in public (I’m a singer, and have done many a business presentation in my time), the thought of sitting in a room signing copies of my book like some wannabe literary star makes me cringe slightly. Also, I feel that the traditional book launch is overrated and is often done because it’s seen as the thing to do rather than because it has major marketing impact. Debbie Young: Can you name one promotional activity that you’d like to try that you haven’t tried yet – or tried but not yet perfected? Paul Connolly: I’d really like to speak at a literary event of some sort, where I can talk about the book, the writing process, and share what (little) I know. That may sound like a contradiction to the previous answer, but it’s not really. I don’t mind talking about my book if it means that the book is the centre of attention; I’m far less comfortable with the cult of the author! Debbie Young: Is there anything else you’d like to share with readers now? e.g. news of your next book or event. Paul Connolly: When this blog article appears, I’ll be on my way back from a 10-day holiday on my favourite little island. If all has gone to plan, I’ll have the synopsis for my next novel, a sequel to The Fifth Voice, well and truly mapped out. I already know the arc of the story, and the working title, and it’s great to be planning an answer to a question I’ve been asked many times since The Fifth Voice was published: when’s the next one? Debbie Young: Enjoy your holiday, Paul, and best of luck with book two! Like to join ALLi too? (c) 2010-2017 All material on this website is the copyright of Debbie Young unless otherwise stated. No part of it is to be reproduced without crediting me as the original author and adding a hotlink to this website.